Starting a venture in this technological era has become quite straightforward, and a new concept has emerged from all the chaos – Equity Crowdfunding. It has now become one of the most significant sources of startup financing, compared to traditional venture capital. According to data from Venture Intelligence, the June quarter of 2017 saw a meteoric rise of over $8.2 Billion of Private Equities investments across 315 deals. This report is the testament of the untapped potential of private equities. Since the 1970s, the private equity market has increased, and large pools of funds were generated to finance large companies during leveraged buyouts. All these processes were executed through traditional trails of paperwork. The present scenario can be changed with the advent of Blockchain. A decade since its inception, blockchain has proved time and again that its fortress-like security cannot be penetrated. The level of security blockchain offers can be used for disputing deals and customized to meet industries needs. Blockchain’s idea of creating tamper-proof databases has made the financial world shift to it. Crowdfunding has its history from the 18th century, right from publishing books, war bonds, companies, to banks. The influence of crowdfunding has always been there. Now as everything has moved online, crowdfunding platforms, such as Kickstarter, offers a means of funding innovative projects, tapping into the pool of investors and entrepreneurs who provide a small amount of money required to fund the project. The growth of crowdfunding has seen a steady rise between 2009 and 2014, according to the study by The Wharton School of Business. This advertently made an impact on venture capital investment. As of 2016, equity crowdfunding surpassed venture capital as a source of funding for startups. Online equity opened up various avenues for entrepreneurs to raise funds for startups. Private Equities allowed crowdfunding platforms from accredited investors. Private Equities has set a low-cost barrier for startups who wish to raise funds or capital. Various crowdfunding platforms charge next to nothing to start a crowdfunding campaign. It will help you to tap into investor pools. These investors look for long-term engagement and are loyal towards innovative projects. Equity crowdfunding investors invest in lower risk projects by lowering the overall risk to the investors’ pool. Private firms give the masses an opportunity to invest in them so that it inadvertently lead to higher asset prices and higher wages. A transaction is expensive, in terms of both time and money. With blockchain’s data integrity, deals can be executed more efficiently. Blockchain tends to store records of everything, and the process of transferring ownership is hassle-free. Blockchain Technology is innovating new models for fundraising and growth investments. Startups are able to tap into blockchain’s model and get their hands on high-tech fundraising. Crowdsales occur in the blockchain, and the needed cryptocurrency will power the product or crowdsale. All the necessary regulations are on smart contracts which makes it easier to combine the existing platforms. One of Blockchain’s central aspect is the transparency of an executed transaction. By removing ambiguity, the process of transferring ownership can be unmasked. It is more accessible to real-time registration and much more. The private equity on blockchain is seen as the new form of raising capital. 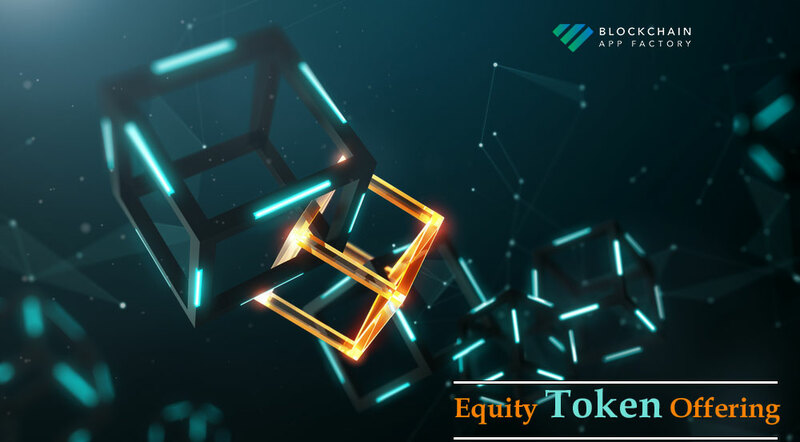 This has given rise to the concept of Security Token Offering(STO) or Equity Token. The STOs tap into the global investment pool where it provides greater market efficiency and trust among the investors. The regulatory framework is etched on a smart contract, thereby enabling automation and cost reduction in compliance. Blockchain App Factory, a pioneer in the field of ICO development, has marked its entry in the private equity space. Our innovative Private Equities offer a new platform for investors and redistribute a company’s assets. Blockchain provides security, low transaction cost, and equity space in the platform. Another cardinal point is the development of STOs in your own blockchain, thereby providing full control to the companies. This advertently reduces the gas prices or changes in protocols. A platform for seamless crowdfunding opportunities powered with blockchain to reshape the investment world by creating new opportunities in the market.